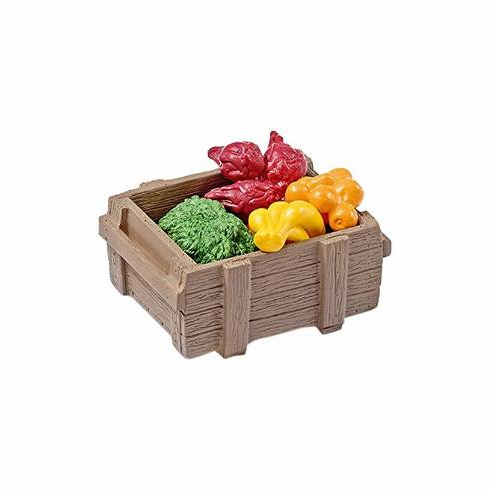 Set includes crate: 2"L x 1.75"W, 3 bunches of fruit and 1 bunch of leaves. Most animals are crazy about fresh fruits. As soon as the animal keeper appears with the fodder box, every animal tries to get as much as it can. In this case it is sometimes quite hard to maintain an overview. After all, every animal should get part of the treat.